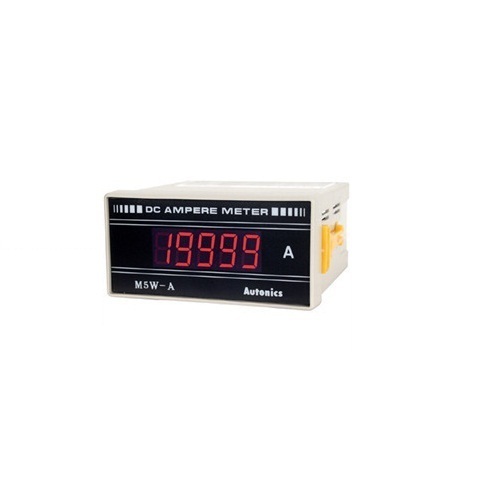 With our affluent acquaintance of this industry, we are betrothed in presenting a wide range of DC Ampere Meter. In addition, experts also check the quality of this product on diverse industry parameters. Founded in 2009, we, Global Electricals & Electronics are a reputed firm, betrothed in Wholesaler, Trader, Exporter, Distributor, and Importer an extensive range of Area Sensor, Capacitive Sensors, Connector Cables, Digital Controller, etc.These products are made by vendors who use advanced technology and top quality material to develop these products as per customers and industry demand. Vendors source material from dependable sellers of industry who have affluent industry experience and acquaintance. To keep the quality as per industry norms, these are manufactured at industry permitted manufacturing unit, which is separated into numerous sections such as manufacturing unit, quality testing unit and warehouse. Being a client oriented organization, we believe in understanding the specific necessities of our valued customers. Members of our expert team put together their sincere and hard endeavors to provide the entire series of presented products with promised set of time span.